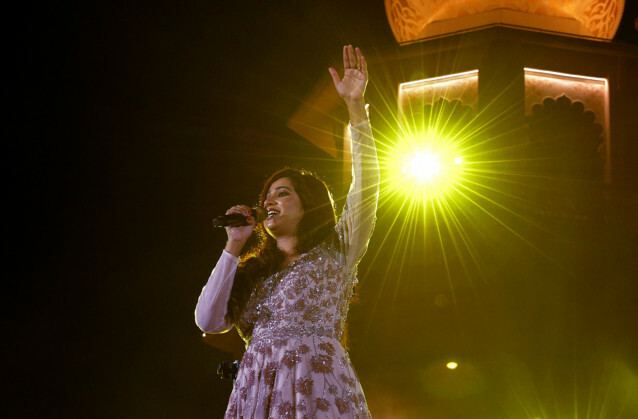 Bollywood singer Shreya Ghoshal enthralled thousands of fans and visitors with her golden voice at Dubai’s Bollywood Park on Friday evening. 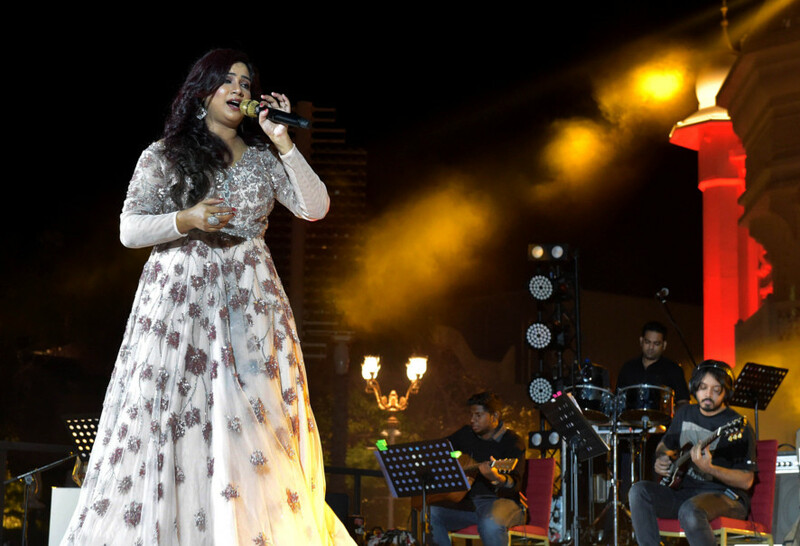 Ghoshal made sure her fans had a memorable evening, performing in a dazzling silver sequined gown for nearly two hours starting at 8.30pm. 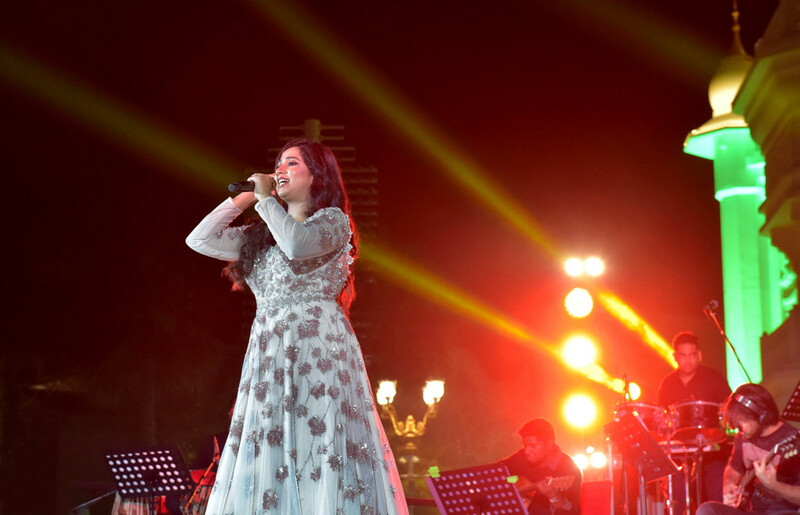 Fans got the chance to enjoy her talent across a spectrum of songs as she performed some of her most popular numbers including a smashing start with ‘Deewani’, a song from ‘Padmaavat’, followed by ‘Bahara’ from ‘I Hate Love Stories’ and ‘Tujhme Rab Dikhta Hai’, ‘Tere Mast Mast Do Nain’, ‘Pinga’ and ‘Chikni Chameli’. She also sang ‘Ghar More Pardesiya’ from the upcoming film ‘Kalank’ live for the first time. The audience swayed to her solos and danced to her duets with Kinjal Chatopadhyay as she rocked the stage with her rich repertoire of songs. 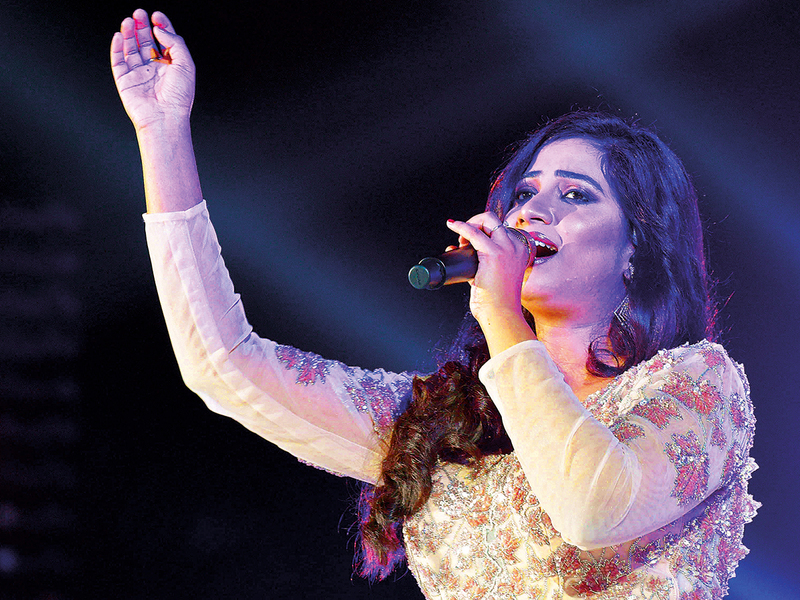 Ghoshal rounded up the show with a tribute to her inspiration and role model, Lata Mangeshkar, with the song ‘Lag Jaa Gale Ki Phir’ followed by the soulful ‘Sun Raha Hai Tu’ from the film ‘Aashiqui 2’.